5  beginning," and that's double underlined. 7  which was on your door when you came home on April 23rd? 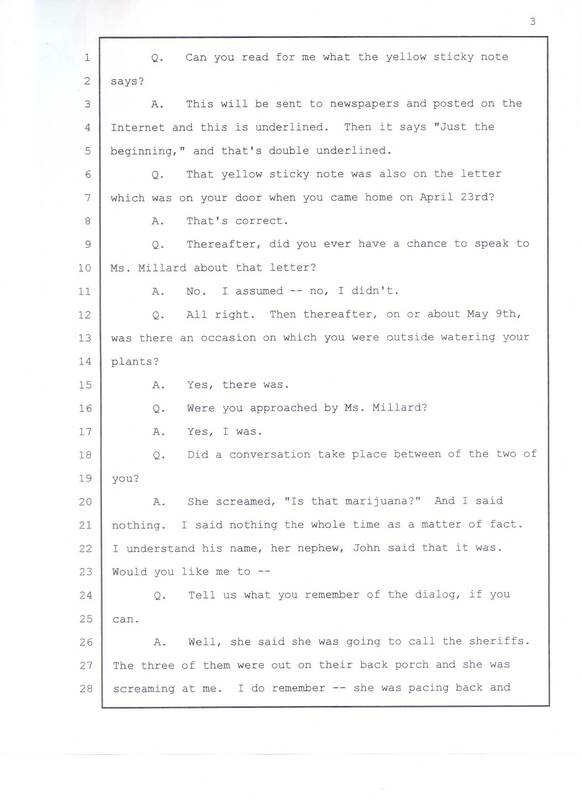 10 Ms. Millard about that letter? 11	A. No. I assumed -- no, I didn't. 15	A. Yes, there was. 16	Q. Were you approached by Ms. Millard? 17	A. Yes, I was. 21 nothing. I said nothing the whole time as a matter of fact. 22 I understand his name, her nephew, John said that it was. 26	A. Well, she said she was going to call the sheriffs.